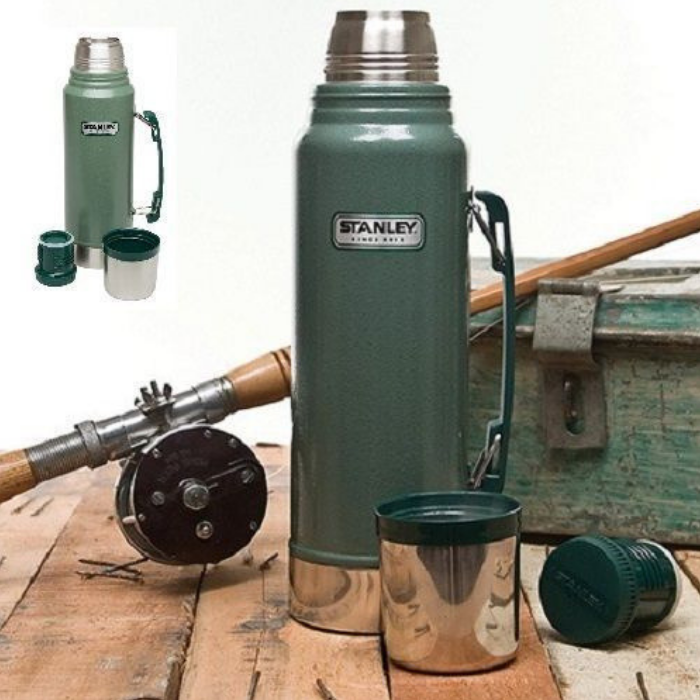 Stanley Classic Vacuum Thermos Just $20! Down From $40! You are here: Home / Great Deals / Amazon Deals / Stanley Classic Vacuum Thermos Just $20! Down From $40! Get this Stanley Classic Vacuum Bottle for just $19.81, down from $40, PLUS FREE shipping for Amazon Prime or orders $25 or more! For those who need to keep a crowd going for big days outside, this XL 2 QT Vacuum Bottle is what’s required. This extra capacity thermos keeps drinks hot 32 hours and is ideal for those times when you’re the key to keeping the whole crew going from dusk to dawn. Whether you are pushing on, sleeping out or working on a graveyard shift, you can keep your drinks hot or cold for longer time!